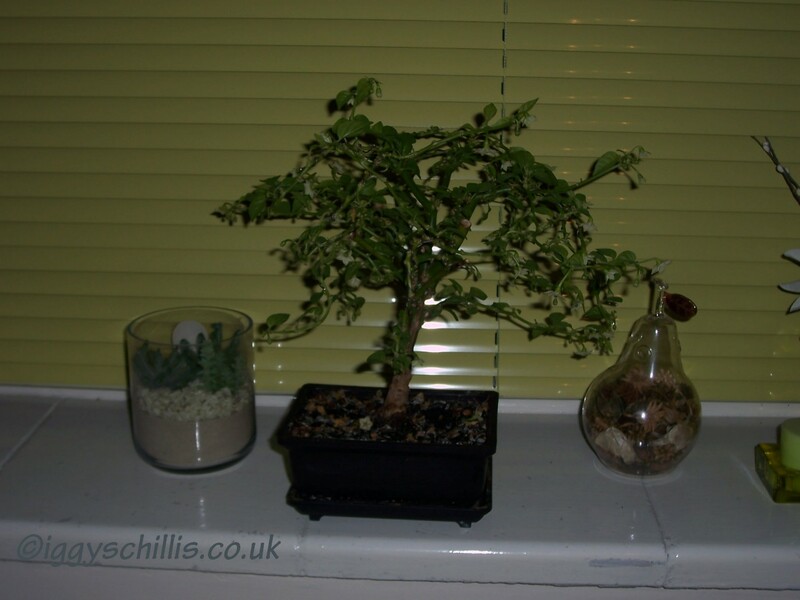 Bonsai, is the Japanese art of growing small trees in small pots…. 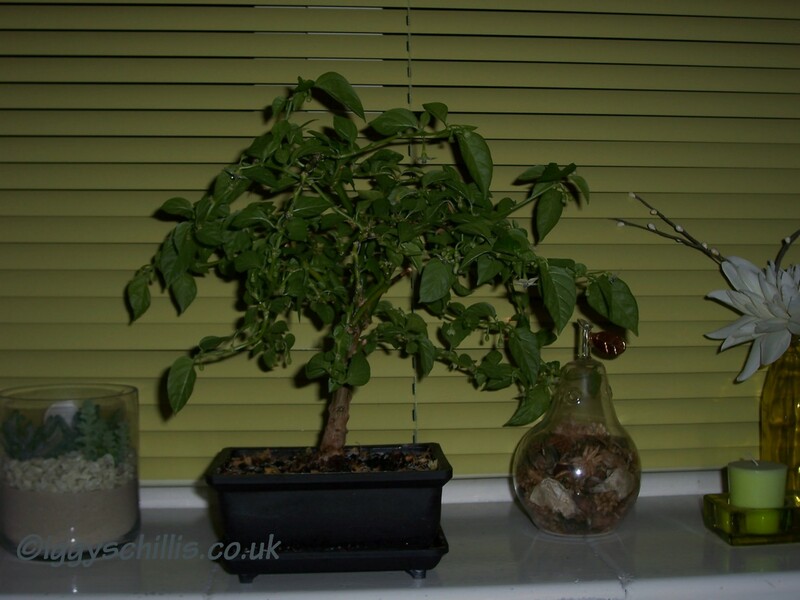 and dates back as far as the 6th Century.The word Bonsai,so I believe, literally translates as… plantings in tray. 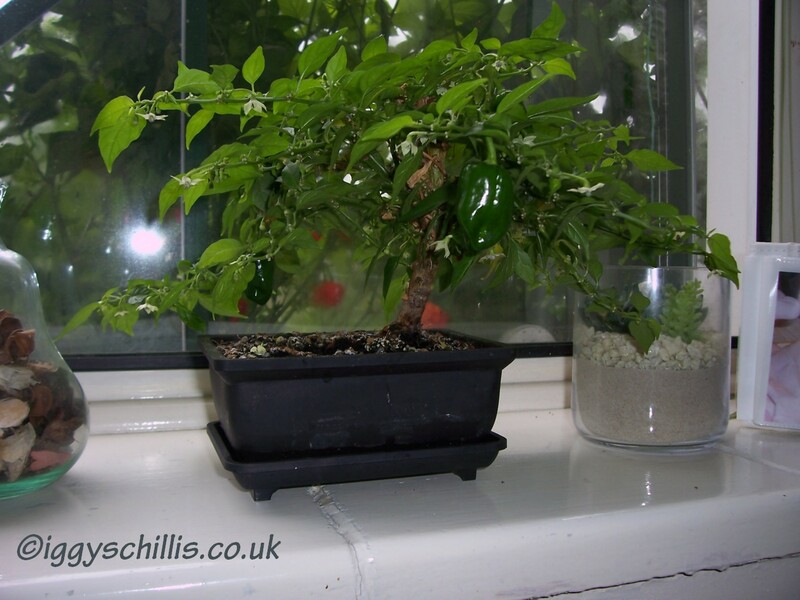 Through the years that I’ve been growing chillis, I have come across Bonchi on numerous occasions,Bonchi being Bonsai chilli plants, and have seen some beautiful specimens. This is a subject that has fascinated me for a while now, so after doing some research and reading on the internet…. I decided at the end of the 2011 growing season, that I would have a go. 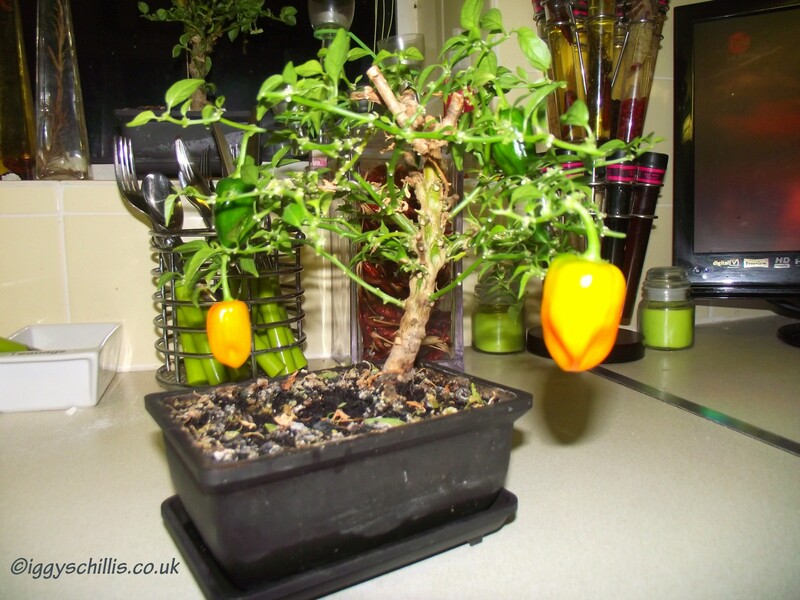 I chose 2 plants, a Habanero Orange and a 7 Pot Yellow. The first thing I did was cut them right down to “sticks” about 6 inches high, as you would for overwintering, (sorry, no pics of this stage ! ), the roots were then cut right back, small enough to fit inside a Bonsai pot. 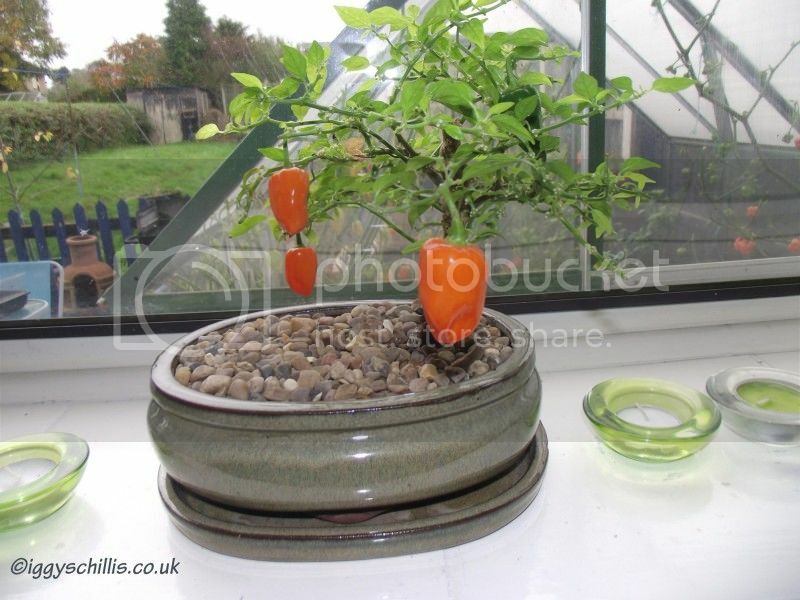 I used plastic pots, as I didn’t fancy paying for expensive ceramic ones if it all failed ! Anyway…. the “sticks” were planted in their pots with fresh compost…watered, and placed on a south-facing window sill to get plenty of light. 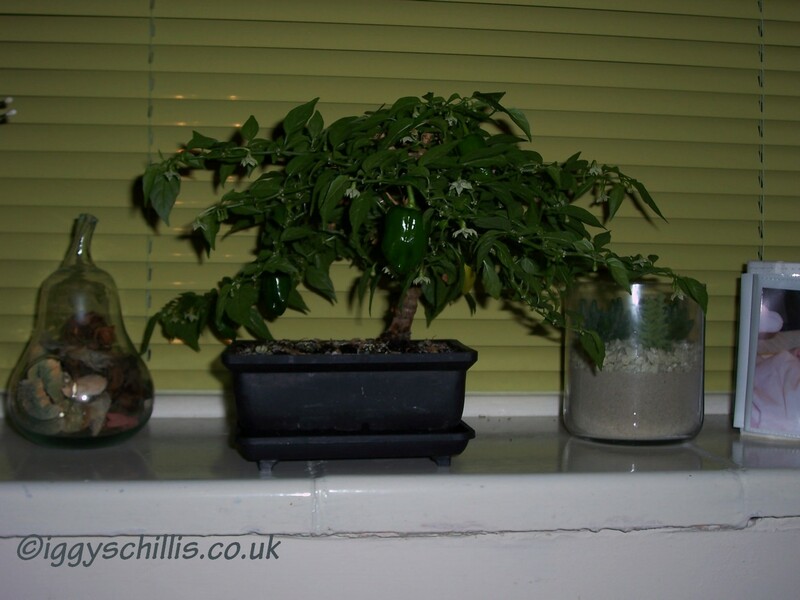 It didn’t take long to get some new growth coming through, and before I new it….I had small, untidy plants. As 2012 moved on through Spring, and Summer…growth was very vigorous, and I was constantly trimming off any large leaves. The more you trim large leaves, new ones come through…only smaller. 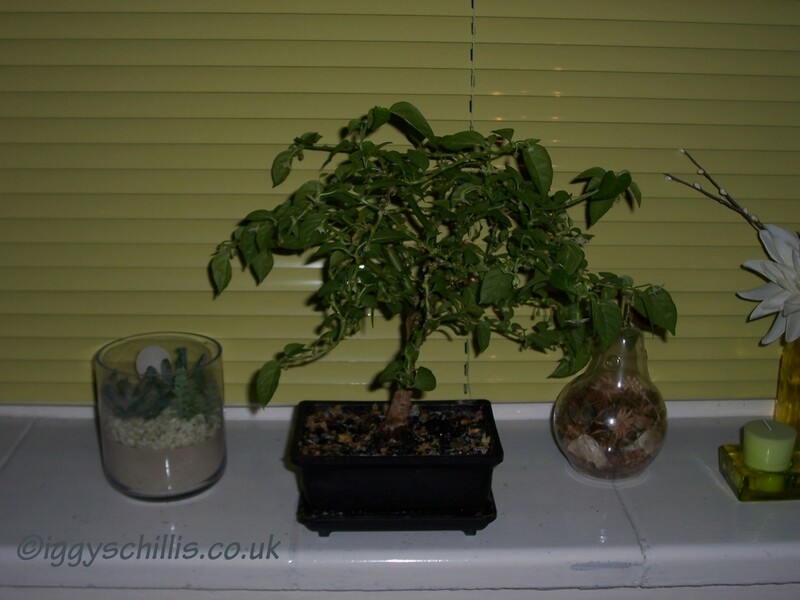 Ok…they’re not the prettiest looking specimens…. but with a little more trimming of the branches, they will look better. 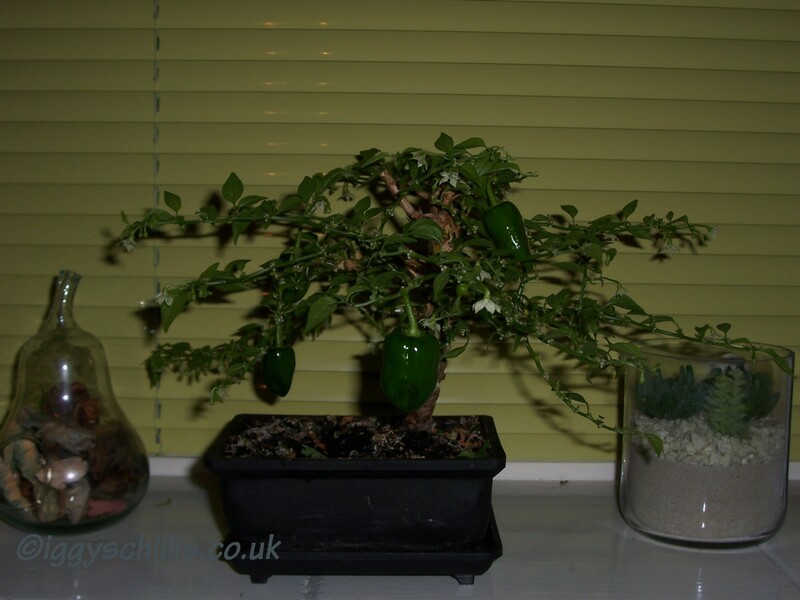 I am so pleased with the results, that I’ve decided to do another half a dozen at the end of this year’s growing season….and this time, I will take pics of every stage ! Iggy, my son, forget Bonsai, you must study your Kung Fu.